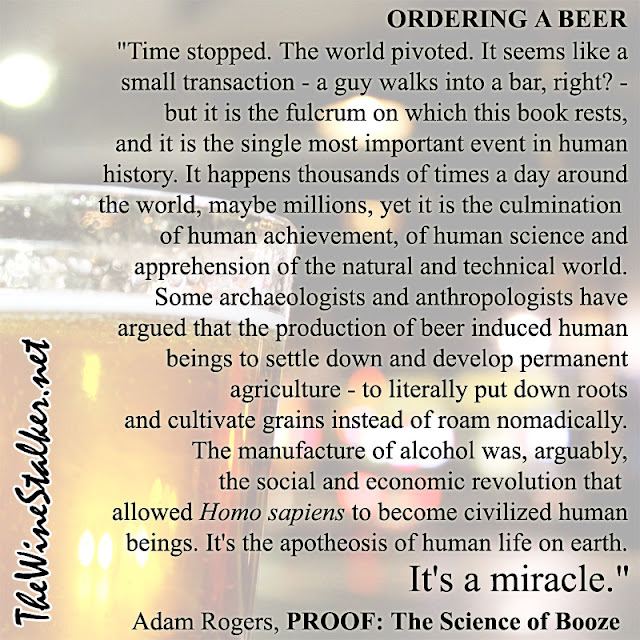 Home » beer , book , original meme , quote » Adam Rogers on ordering a beer. "Time stopped. The world pivoted. It seems like a small transaction - a guy walks into a bar, right? -but it is the fulcrum on which this book rests, and it is the single most important event in human history. It happens thousands of times a day around the world, maybe millions, yet it is the culmination of human achievement, of human science and apprehension of the natural and technical world. 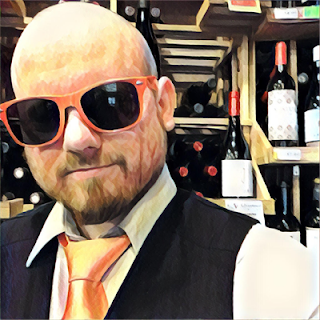 Some archaeologists and anthropologists have argued that the production of beer induced human beings to settle down and develop permanent agriculture - to literally put down roots and cultivate grains instead of roam nomadically. The manufacture of alcohol was, arguably, the social and economic revolution that allowed Homo sapiens to become civilized human beings."